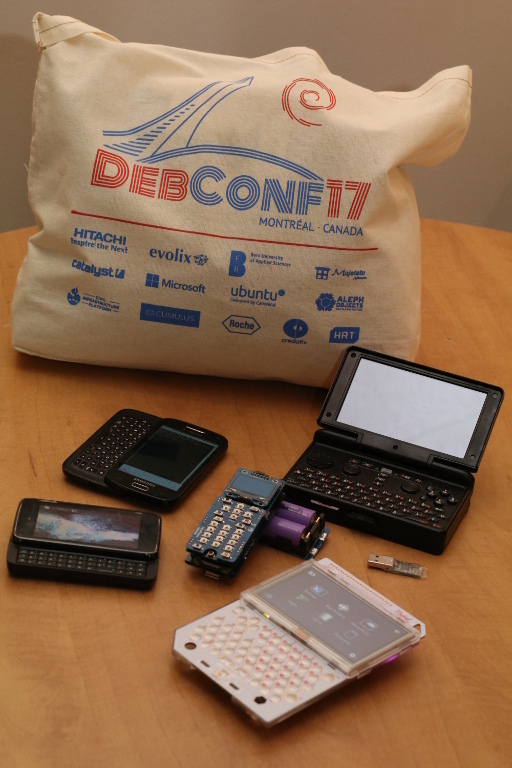 DebConf17, the 18th annual Debian Conference, is taking place in Montreal, Canada from August 6 to August 12, 2017. Debian contributors from all over the world have come together at Collège Maisonneuve during the preceding week for DebCamp (focused on individual work and team sprints for in-person collaboration developing Debian), and the Open Day on August 5th (with presentations and workshops of interest to a wide audience). Today the main conference starts with nearly 400 attendants and over 120 activities scheduled, including 45- and 20-minute talks and team meetings, workshops, a job fair, talks from invited speakers, as well as a variety of other events. The full schedule at https://debconf17.debconf.org/schedule/ is updated every day, including activities planned ad-hoc by attendees during the whole conference. If you want to engage remotely, you can follow the video streaming of the events happening in the three talk rooms: Buzz (the main auditorium), Rex, and Bo, or join the conversation about what is happening in the talk rooms: #debconf17-buzz, #debconf17-rex and #debconf17-bo, and the BoF (discussions) rooms: #debconf17-potato and #debconf17-woody (all those channels in the OFTC IRC network).